November last year, Intel made a surprise by announcing a new processor equipped AMD Radeon GPU. The news sparked the question: “When will AMD release Ryzen processor with integrated GPU? Why are the rivals supplied? “Well, AMD already has the answer today. They have just revealed two new desktop processors: Ryzen 5 2400G and Ryzen 3 2200G. Consider the naming, the label “G” is an indication that both are quite prominent about graphics performance, and that’s all thanks to Radeon Vega GPU integration. Yup, both are the newest members of APD’s (Accelerated Processing Unit) family owned by AMD. AMD did not hesitate to compare the performance of this new processor with a competitor product. They likens the Ryzen 5 2400G as a fusion of Intel Core i5-8400 processor and Nvidia GeForce GT 1030 graphics card, both of which must be redeemed for a higher cost ($ 199 + $ 89). Compared Core i5-8400, AMD sure Ryzen 5 2400G has a 21% faster performance. The performance of the graphics should not be asked, with the claim that the performance of the Vega GPU is 156% faster than the integrated GPU owned by the eighth generation Intel processor. If still not enough, users can overclock and get an extra graphics performance by 39%. If you look at the price, it seems clear that AMD deliberately designed these two processors instead of Ryzen 5 1400 and Ryzen 3 1200. 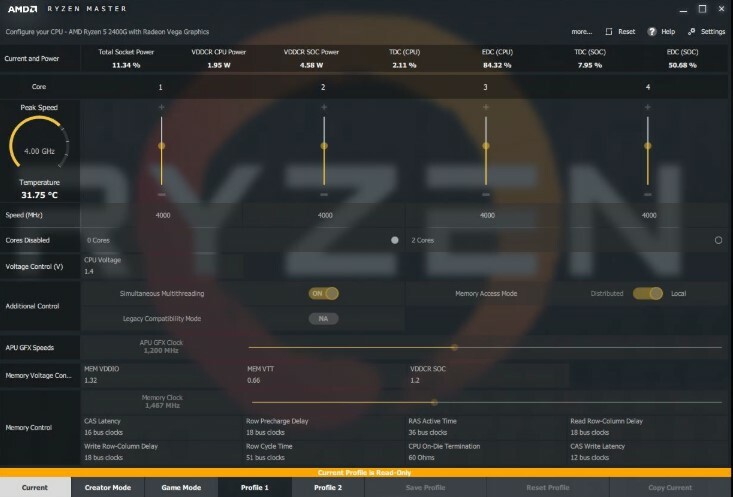 The selling price exactly the same – Ryzen 3 2200G even cheaper $ 10 – the number of cores and threads are also the same, but the clockspeed slightly higher, plus the graphics performance is much more qualified. Of course AMD is already planning on releasing another Ryzen 2000 Series model (which is not an APU) and it’s all scheduled to come next spring.